Please read the instructions below carefully as we have made changes to the Opening Day parade and activities. 1. Majors, AAA, AA, A, T-Ball and Challenger teams should meet their managers at Pimmit Hills School (7510 Lisle Ave) at 8:45 am. See this map to find the staging area for your playing division. 2. The Challenger and T-Ball teams should meet at the front of Pimmit Hills School, which faces Lisle Avenue. Teams will line up by division and in alphabetical order within each division. Look for your team’s banner. Challengers and T-Ball teams will lead the parade. Please see the enclosed map of the school for locations. 3. The A, AA, AAA and Majors teams should meet on the sidewalk on the side of the school, which faces Griffith Road. 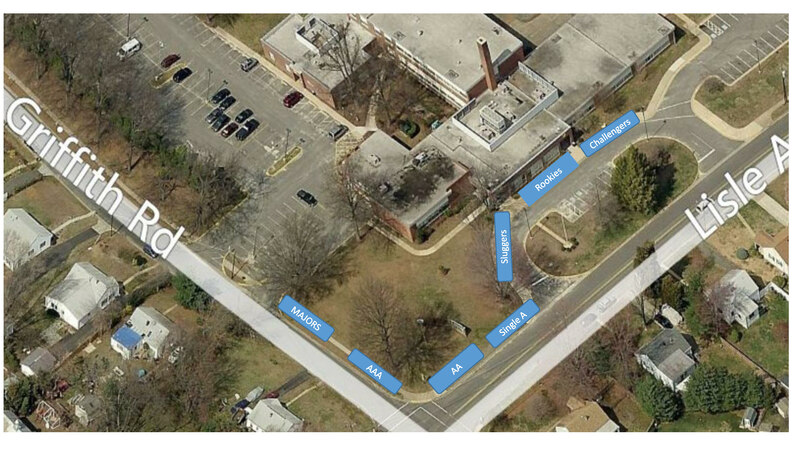 Teams will line up by division -- Please see the enclosed map of the school for locations. The teams in that order will march behind the T-Ball Teams. 4. Several designated FCKLL volunteers will help organize the teams--by division and in alphabetical order--at Pimmit Hills School. 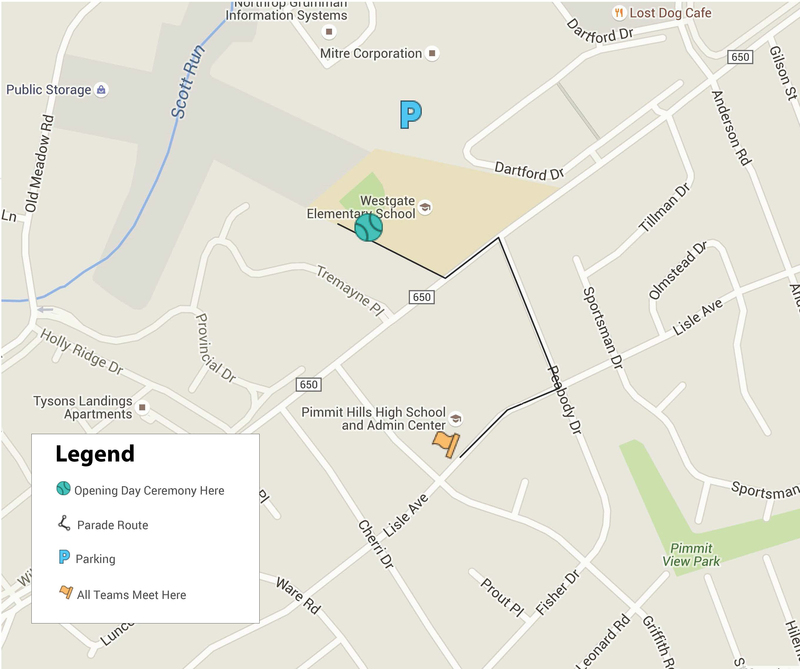 Teams will march in designated sequence as indicated on the enclosed map of the school. 6. There will be very limited parking available at the Pimmit Hills School because that is where the players and teams are gathering. There is also very limited parking available behind Westgate School and at the Westgate Fields. 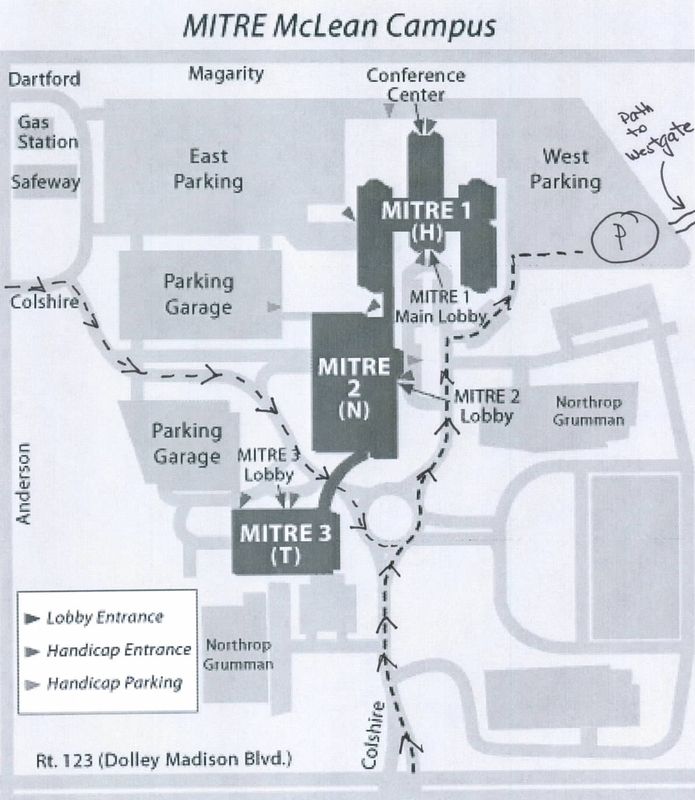 Parking is available at the Mitre Corporation Building 1 parking lot (see this map for parking information) and on nearby streets. Parents are encouraged to drop their players near the Pimmit Hills School, park their cars, and then wait at Westgate for the parade to arrive. Of course, parents are welcome to march in the parade as well. 7. Players should wear hats, uniforms and sneakers, and should dress appropriately for the weather. Players should not bring cleats, gloves, or bats. Note: Players and coaches only will be permitted on the field during the ceremony. Parents, family, and friends are asked to stay outside of the field to watch the ceremony. 9. Individual and team photographs will be taken on Saturday, May 4th this year, not on Opening Day. We encourage you to use your own camera on Opening Day. A photo schedule for May 4th will be provided soon. 10. All teams will be playing on opening day, weather-permitting. Please check the schedule for times. 11. The FCKLL snack bar will be open and the FCKLL Quartermaster will host an annual sale. Surplus shirts, pants, hats and other equipment will be available for sale at great prices.